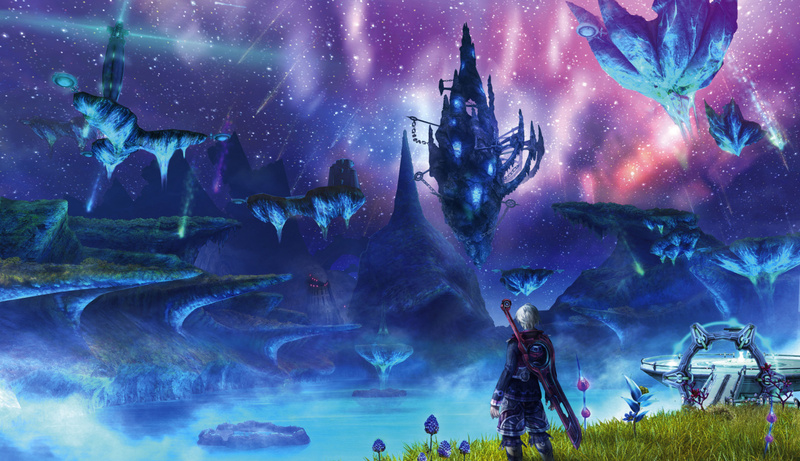 European Wii owners can buy Xenoblade Chronicles next week. They can play it on their Wii consoles, without modification or anything like that: just put the disc in, pick up a pad, off they go. North American gamers though... well, they're not so lucky. You know what would take some of the sting out of that, though? How about an official Let's Play channel for the game, showing you exactly what you're missing out on? Yeah, that'd do it. Nintendo of Europe has just set up a YouTube channel that will feature seven videos delving into the world of Xenoblade, its battles and unique features. There's also a voiceover from a well-spoken Englishman, if that seals the deal for you. Check out the Xenoblade Chronicles YouTube channel and look out for the game on 19th August. In Europe. Sorry about that. 9th August 2011 - Discover Xenoblade Chronicles for Wii™ ahead of its release on the 19th of August with the help of a series of all-new “Let’s Play: Xenoblade Chronicles” gameplay videos starting today at 11am CET, only on the Xenoblade Chronicles YouTube Channel at http://www.youtube.com/XenobladeWii. The series of seven in-depth gameplay videos that will be released over the coming weeks will give you a detailed look at the vast worlds of Bionis and Mechonis, the scene of a war that knows no end between the Mechon (a race of machines) and the Homs (humans). 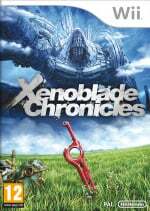 The first video in the series takes you through the basic gameplay elements as you guide Shulk into the battle for Bionis, to repel the invasion of a terrifying mechanical army and uncover the secrets of a mystical sword called the Monado. Get an early and unique view on the many features that form the game, learn how to fulfil quests, obtain armour and collect new items and weapons. The first exclusive video shows you the best way to launch chain attacks with your initial party members, Reyn and Fiora, which is one of the most effective ways to defeat the large monsters you will encounter along your journey. You will also experience the Mechon onslaught, the turning point in the Xenoblade Chronicles story. Uncover the art of inflicting ‘break’ and causing ‘topple’ so you and your party can start to inflict real damage to the Mechon, as well as mastering the use of the Monado – the only blade that can defeat the Mechon. Familiarise yourself with the visions Shulk experiences, where he can see glimpses into catastrophic future events which you must try to prevent from happening, as well as learning the affinity system, in which the player can improve his relationship with his party and many non-player characters through interacting with them. The affinity system also incorporates side quests and completing them can affect how townsfolk will treat you, opening up new story sequences for you to explore. The first in this run of seven insights into the many elements of Xenoblade Chronicles will bring the game to life, using real gameplay examples and situations you will encounter as you battle to defend your hometown, Colony 9. Get the inside scoop on Xenoblade Chronicles for Wii, ahead of its release on 19 August, by staying tuned to the “Let’s Play: Xenoblade Chronicles” videos on the Xenoblade Chronicles YouTube Channel, starting today! Note about spoilers: the Lets Play videos will show many locations and gameplay aspects as well as a few glimpses of cut scenes but will largely avoid story spoilers. Nevertheless, viewer discretion is advised. not sure why everyone wants this game so much, but north american gamers seem pretty angry. Our American friends do know how many games European (and especially Australians) miss out on, right? For once it pays off to be a british gamer. When I saw the title, I thought it was going to be like a lets play and go through the whole game but as its not, I'll make sure to watch these. EDIT: I checked and it is like a lets play, the description implied that it wasn't. I'll definitely watch the non- lets play videos on there but I might watch some of the lets play videos but I'm not sure if I'll watch all of them as I don't want too much of the game given away. I've got this on pre-order, can't wait to get it in the mail! Had a quick look at the first video. Getting this now. It's like rubbing salt on a freshly cut wound that will never heal! Why Nintendo! why do you make us live in eternal nightmare! @LordJumpMad: there's no explaining the actions of business leaders of our world. Man, the environments in this game are amazing. I can't resist watching the videos, even though they might as well be spoilers. & for those in the U.S. just region free your Wii, it's really easy if you know where to look. Sweet , now I can just watch the game and save me some money. @WiiLovePeace I dont hack or mod, I was just going to buy a Europe Wii and the game if I got desperate. The whole concept of regions getting and not getting games is dumb. Nintendo should publish all their titles in every region and stop treating gamers as idiots. Oh American is dumb and don't want Xenoblade, or Europe is dumb and won't like Excitetrucks. It's not just Nintendo, but this site is about Nintendo. The concept itself is stupid when it's large companies that can easily afford the localizations. I'll wait for it to release next year. You now, when they have nothing else to release. ^^ I'll bite... How so? This awesome. Some legit high quality Let's Play is better than all the crappy cam commentary on youtube. @Hardy83 I agree. Making region specific games and movies is the stupidest thing humanity has ever thought of. Having idiots deciding what we silly Americans, Europeans, or Australians can play makes it worse. *cough Namco Japan *cough God Eater DLC We should have to decide what WE want, not what they think is going to sell over here! I didn't know Nintendo knew about Let's plays. The Let's play has evoled greatly since the days it was just on SA forums. All is explained with this picture. Wow, an official Let's Play? What a great idea! Developers/publishers should do this more often! "Rubbing it in some more"
It's Nintendo we are talking about, so I think it will be a last minute affair. And with that I mean: You Americans will get it between September and December. Nintendo Japan has already penned it down. It's just that they keep it under wraps untill very short before the release. That's the feeling I get. Or you guys get it next year. If it's still not available when Wii u arrives, you guys are out of luck. Keep hoping/believing! Oh, in case anyone has pre-ordered this from GAME and doesn't frequent the forums, check out my post here. Eh, I'm tired of rooting for this game to come state side. I understand that EU and AUS historically get the shaft when it comes to game releases, but unfortunately that's not really much of an argument for those of us in NA. "I just sat tight and weathered it." No, not me. I might just make the Wii my last Nintendo system. Wii U, PU. I still love the Wii and have many more titles to buy before I retire it, but unless they release those game that are so much wanted over here, I'll just contribute my money to consoles that deliver their titles with a little more interest in their consumers, like (console name omitted). PS: Down with Reggie!!!! Does the guy even play video games? I think Reggie really can't help it. Nintendo Japan decides what and when something happens. I guess Reggie really has no say in this. I know it's hard for you Americans but keep hoping for the best!